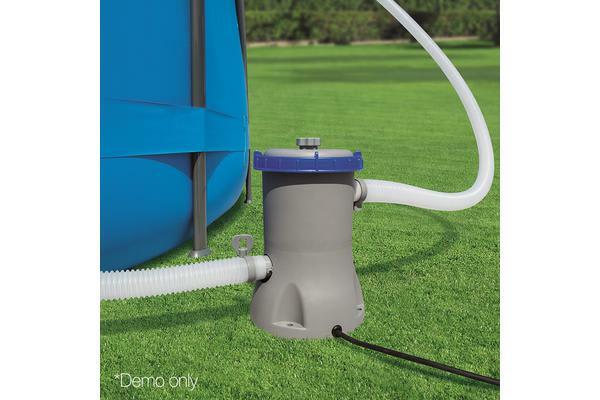 Designed to work specifically with Bestway above-ground swimming pools that use between 1,100 and 17,400 litres of water, the Bestway Filter Pump helps to filter and clean the pool water of dirt and contaminants. The pool water is pumped through a cartridge filter at a rate of 1249 litres/hour and returned filtered and cleaned. 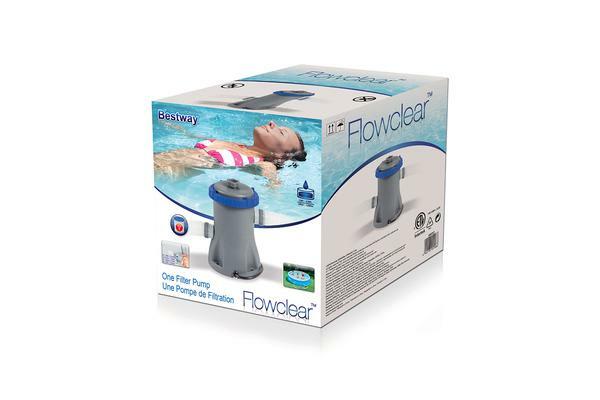 The pool system water flow rate is 330 gal/hour. Not least, an air purge valve helps to release air to prevent pressure build-up. 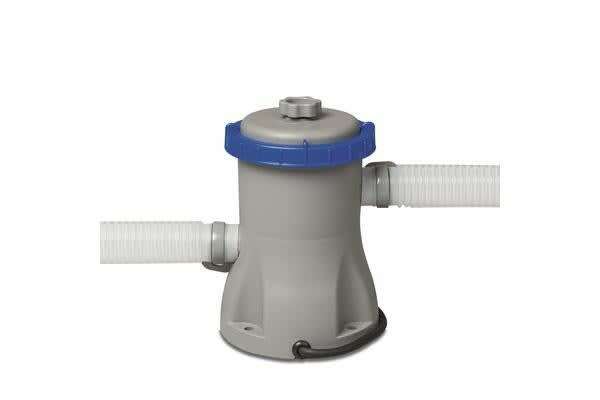 Also included is a 10.6cm x 20.3cm filter cartridge and adaptors for pool valves.